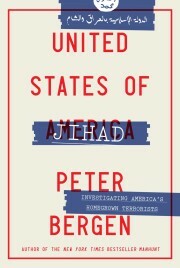 Editor’s note: Peter Bergen is CNN’s national security analyst, a vice president at New America, a professor of practice at Arizona State University, the chairman of the Global Special Operations Foundation and the author of five books about terrorism. (CNN) — At a time when our public life is full of acrimony and there is scant discussion of the common good and the merits of service, the life of Michael Sheehan reminds us of these virtues. It’s hard to think of a public servant who fought the war against al Qaeda and other jihadist groups for longer and with greater tenacity than Sheehan. Over the course of the past two decades, Sheehan worked in senior national security positions at the State Department, the Pentagon, the United Nations, the New York Police Department and at West Point. Sheehan died last Monday at age 63 after many years of battling multiple myeloma. His job as ambassador for counterterrorism put Sheehan at the center of the fight against al Qaeda. The Taliban were then hosting Osama bin Laden in Afghanistan. Sheehan was given wide latitude by his boss, Secretary of State Madeleine Albright, to confront them. Sheehan, an intense, blunt, wiry former Special Forces officer universally known as Mike, dispatched a strongly worded cable to Taliban leaders that said they would “be held fully accountable” for another attack by al Qaeda. After the 9/11 attacks, this was the doctrine the Bush administration would use when it launched a war against the Taliban because they were harboring bin Laden. On October 12, 2000, al Qaeda dispatched two suicide bombers to attack the USS Cole, anchored off the port of Aden in Yemen. 17 American sailors were killed in the blast, which almost sunk the warship. The Clinton administration, which was about to complete its second term in office, did nothing to respond to this act of war. This would prove to be a prescient observation since the Bush administration also did nothing to respond to the Cole attack after it assumed office, and it was only after al Qaeda attacked both the Pentagon and the World Trade Center on 9/11 that the Bush administration responded. After the 9/11 attacks, Sheehan worked for two years as an assistant secretary general at the United Nations, where he oversaw more than 40,000 military and police peacekeepers. In 2003, Sheehan joined the New York Police Department as the deputy commissioner in charge of counterterrorism, which was in many ways one of the most important national security jobs in the country, because Manhattan remained a key target for terrorists. After three years managing counterterrorism in New York, in 2006 Sheehan retired from government service. An enormously energetic man, Sheehan took on several jobs, working as an analyst for NBC News, as a fellow both at NYU’s Center for Law and Security and at West Point’s Counterterrorism Center and as a partner in Torch Hill Equity. Sheehan also wrote an important book about terrorism, “Crush The Cell,” which was published in 2008, seven years after the 9/11 attacks. The book was dedicated to his wife, Sita, his daughter, Alexandra, and his son, Michael. In 2011 Sheehan returned to government service to take on what was in many ways his dream job as assistant secretary of defense for special operations. During his Army career, Sheehan had served as a Special Forces officer in Panama. Now he was in charge of all Special Operations Forces deployed around the world and their fight against al Qaeda and other jihadist groups. Sheehan, a 1977 graduate of West Point, remained a senior fellow at West Point’s Counterterrorism Center until he died. The book will now be dedicated to Sheehan.